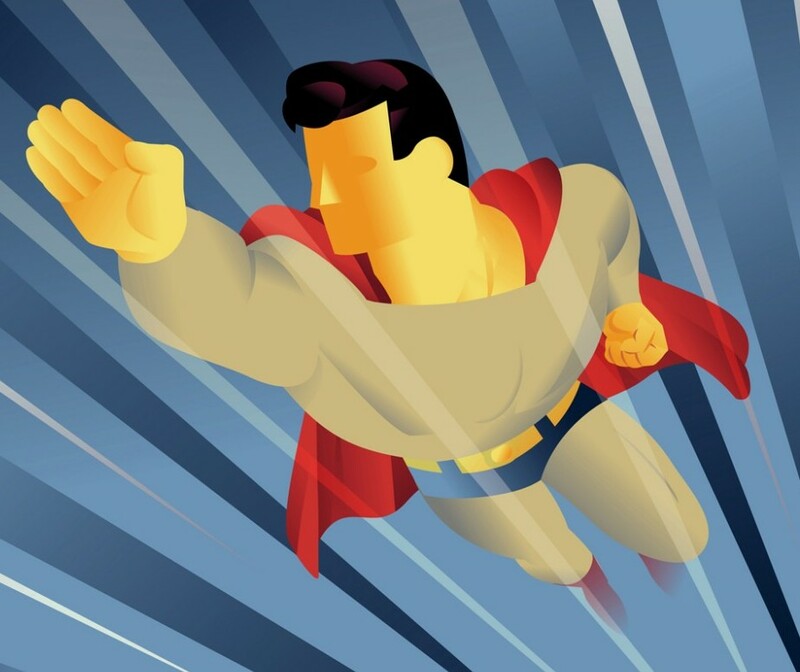 Relisting, Reflecting, & Resolving – Teach Like a Superhero! 2018 is here! But first, we recently passed the “Best of” season, with everyone sharing the best _________’s of 2017. There are also plenty of “Best Comic Books of 2017” lists, many containing a variety of topics and genres beyond superheroes. For instance . . . Sadly, I haven’t read that many new comics in the past year. I’m eager to check out DC’s Mister Miracle mini-series (by Tom King and Mitch Gerads). Created by Jack “The King” Kirby after his glory days at Marvel, Mister Miracle (Scott Free) and his fellow “New Gods” are “b-list” heroes at best. But that means the stories can take more risks with higher stakes than perennial favorites like Batman or Wonder Woman. Check out this preview page of the series, in which Mister Miracle and wife Big Barda discuss remodeling their home while breaking into a villain’s lair . . .
Notice the classic 9-paneled page layout the series strictly follows throughout its entirety. Consider how much creativity can arise even among such well-defined structure. (There’s an analogy here for teachers.). Plus, this series explores mental health issues, another helpful topic for teachers to examine. Speaking of education and teachers, we get our own “Best of 2017” lists too! Practice tests and student-planned steps are two of the best test-preparation strategies. Clickers may help with fact retention, but can hinder deeper comprehension. Finger-counting (with other number games) is okay and actually helps 2nd graders with math. Of course, this season is also time to preview the upcoming year. We have lists anticipating new comic books, along with the latest lineup of superhero movies. Even better, educators can plan for the future and prepare accordingly. Whether it’s comic books, movies, or educational trends, we’ll just see how things turn out in the next 12 months. And after the year passes, we’ll see another wave of lists. TEACHERS, what about YOUR lists? What were your highlights from last year?